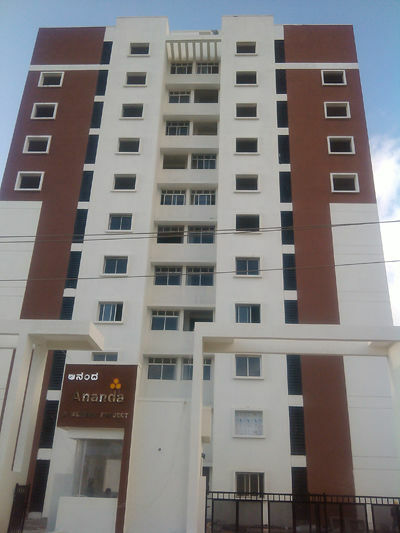 How Far is Ananda Valmark? 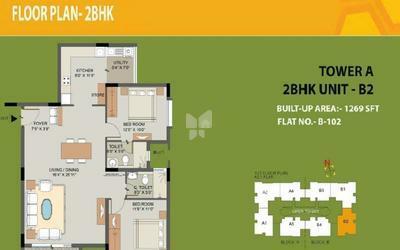 Ananda Valmark” is constructed over a sprawling 2 acres, facing a pristine lake. 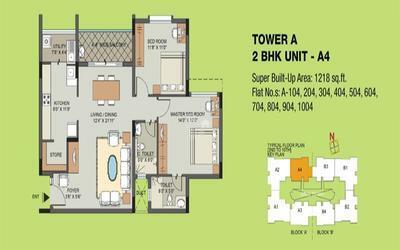 It is a G+10 storied apartment complex consisting of 150 units in 2 towers and 4 blocks. As if the breathing view was not enough, the development includes a multipurpose hall, a swimming pool, a children's play area and more, coupled with all modern amenities that make it a home that's quite literally a dream. Provision of plumbing points for sink and electrical points to accommodate modular kitchens l Granite kitchen platform with stainless steel sink will be provided on additional cost as per request otherwise kitchen will be designed to suit modular kitchen. Two suitable elegantly designed automatic lifts per block of 8 and 13 passengers capacity.